A military themed Christmas decorations set has gone on sale at GUM – Russia’s iconic department store situated on the Red Square in Moscow. 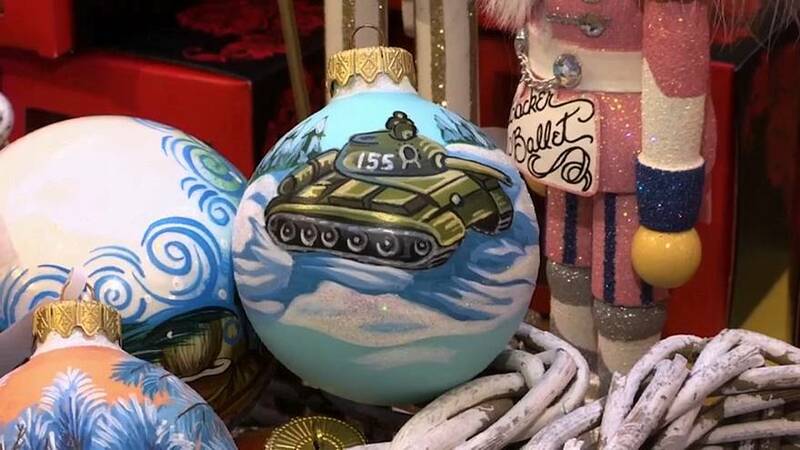 The set called “Our Traditions” includes 4 baubles, each one with a different kind of military vehicle painted on them. There’s one with a tank, an armoured vehicle, a plane and a helicopter. The cost of the set – around 30 euros- (2000 rubles)- appeared to split opinion among buyers, with many saying they couldn’t relate Christmas and New Years to tanks.